Having done several scout schools this past week and spending some time on the phone, there doesn’t appear to be any major insect pest problems in soybean at this time. However, it is also clear that stink bug populations have rebounded from last year. Some early maturing fields are above the suggested treatment threshold of 9 stink bugs per 25 sweeps. Most are green stink bugs, and pyrethroid insecticide will provide excellent control. In cases where brown stink bugs are common, bifenthrin (Brigade, Sniper, Fanfare, etc. at 5-6 oz/acre) or Acephate(0.75 lb/acre) are more preferred treatments. 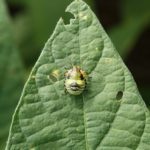 Other than stink bugs, we are seeing generally low levels of defoliation caused by a complex of green cloverworm, Japanese beetles, and bean leaf beetles. 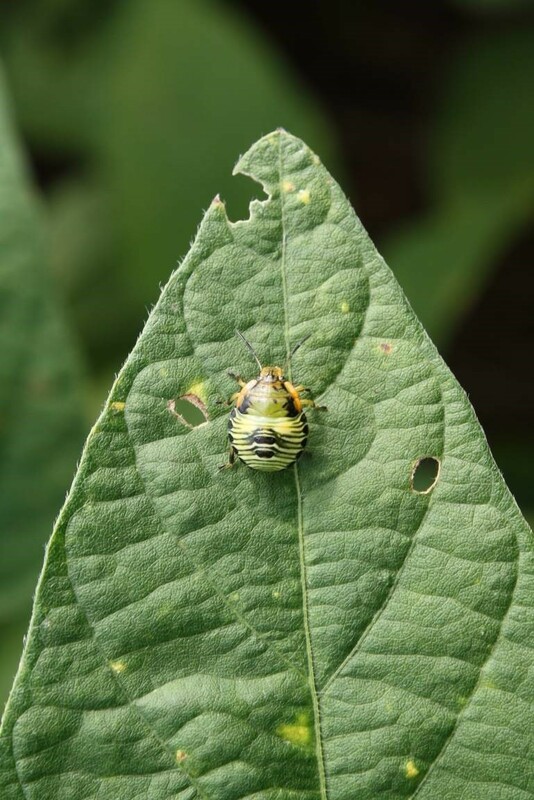 Also on the upside, it looks like kudzu bug populations are low this year. Regularly scout to prevent ugly surprises! Remember that treatment is recommended if defoliation exceeds 20-25% between R1 – R6.